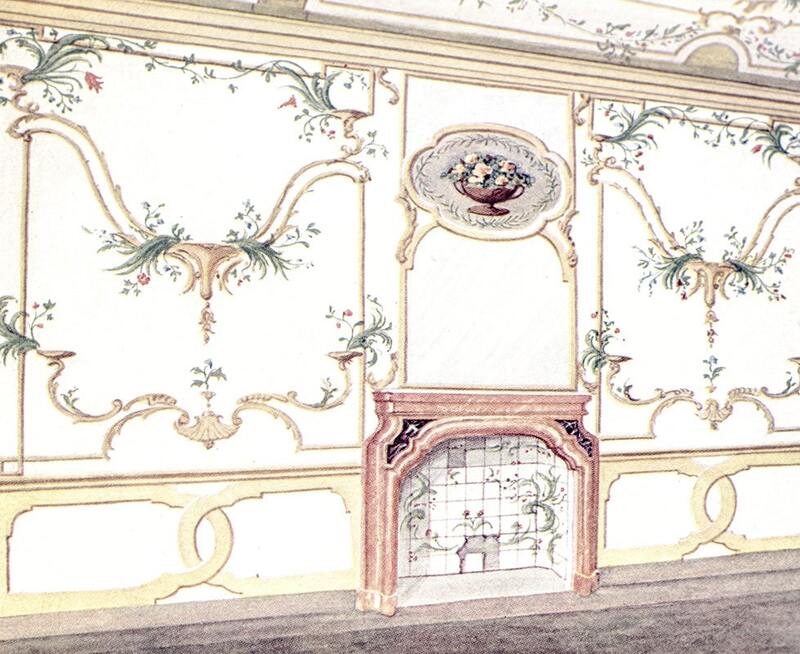 The Practical Book of Decorative Wall-Treatments. Philadelphia and London: J. B. Lippincott, 1926. 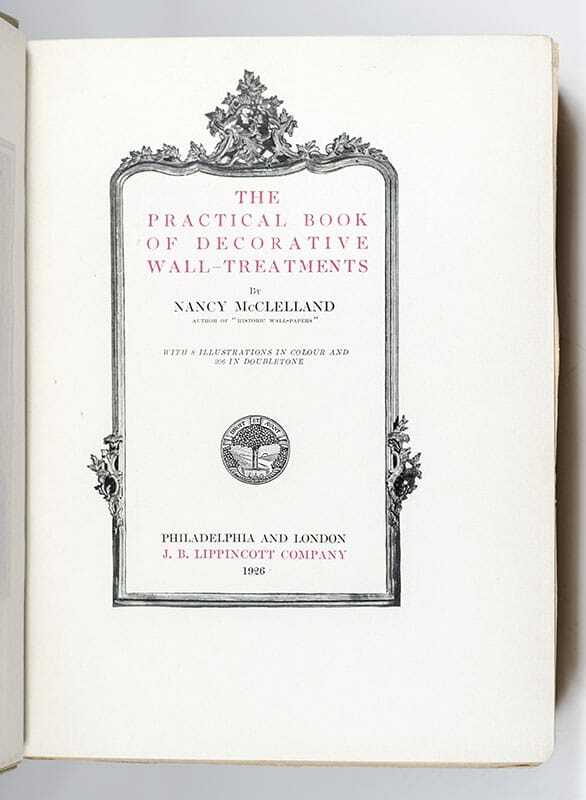 First edition of Nancy McClelland’s authoritative work on interior design. 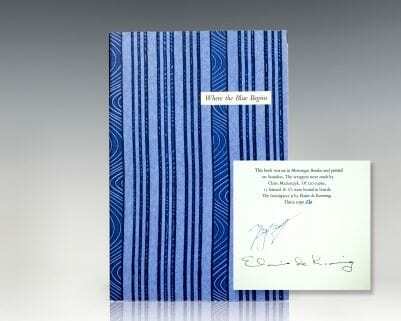 Octavo, original decorated cloth with elaborate gilt tooling to the front panel, top edge gilt with others uncut, frontispiece in color with tissue guard present, eight other illustrations in color and 206 in doubletone. Signed and dated by the author on the front free endpaper, “Nancy V. McClelland April 30, 1928.” In very good condition. Previous ownership name above the inscription. 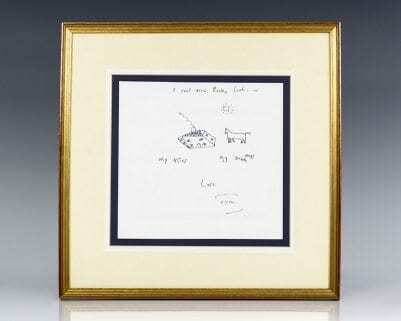 A nice example, uncommon signed. 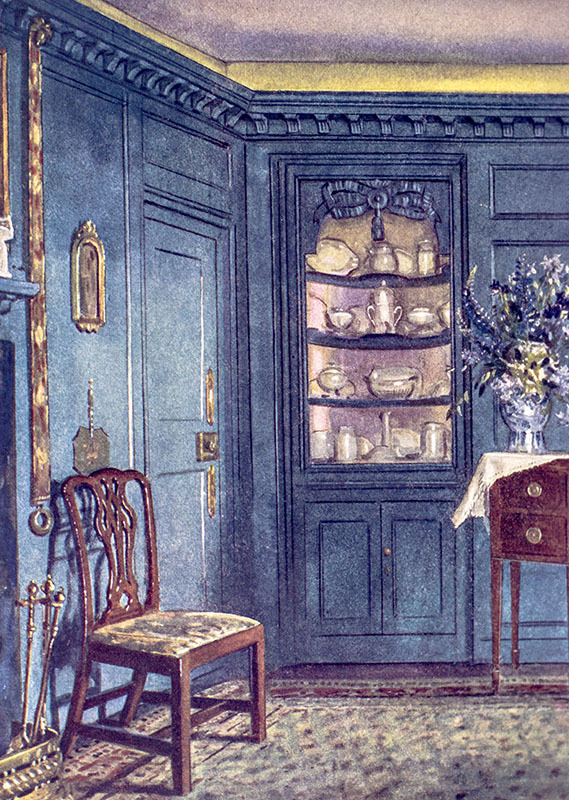 One of the earliest American female decorators of the 20th century, Nancy Vincent McClelland was one of the foremost advocates for the professionalization of interior design. 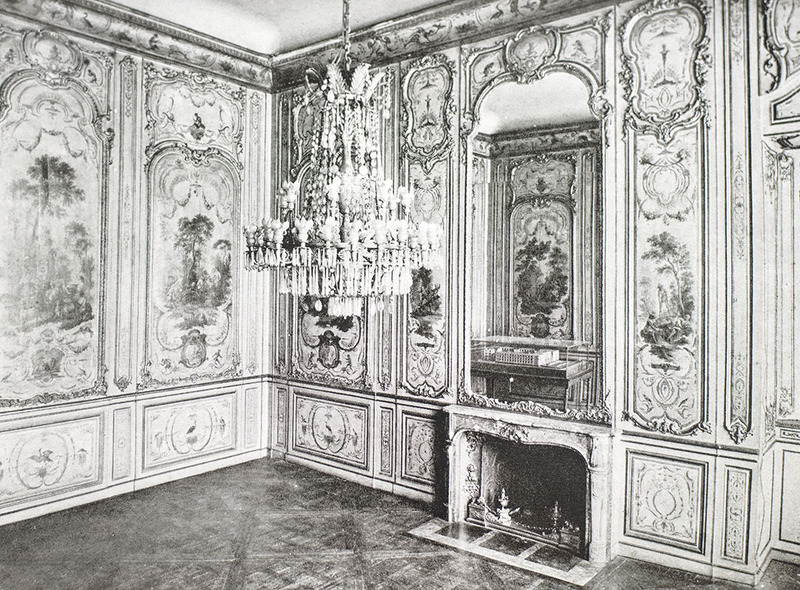 An expert on wallpaper, Scottish furniture design, and both European and American art and antiquities, McClelland gained international renown as an interior decorator, wallpaper designer, and collector of antique furniture. 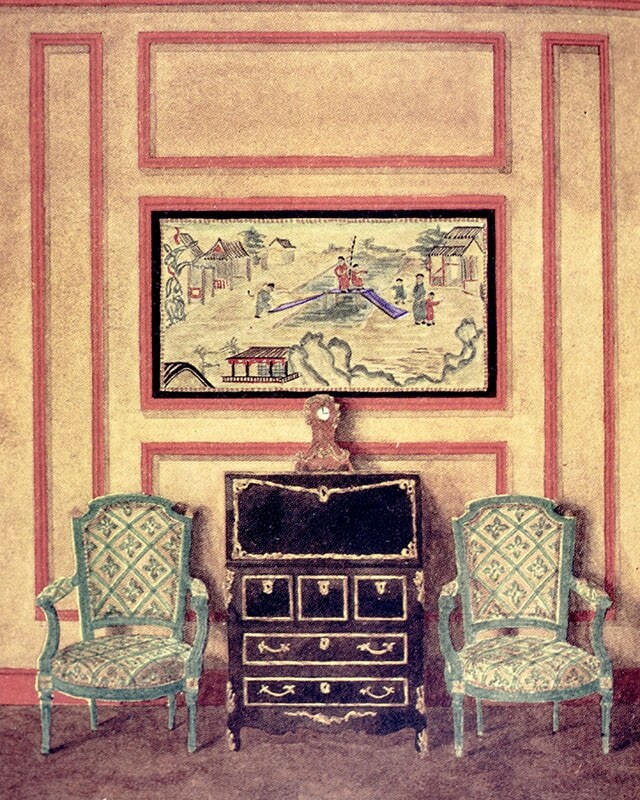 The Practical Book of Decorative Wall-Treatments contains chapters on the historic development of decorated walls, plaster walls, frescoed and painted walls, tiles as wall decoration, wood-paneling, and the openings of a room and their composition. Historic Wall-Papers From Their Inception to the Introduction of Machinery. Philadelphia & London: J. B. Lippincott, 1924. 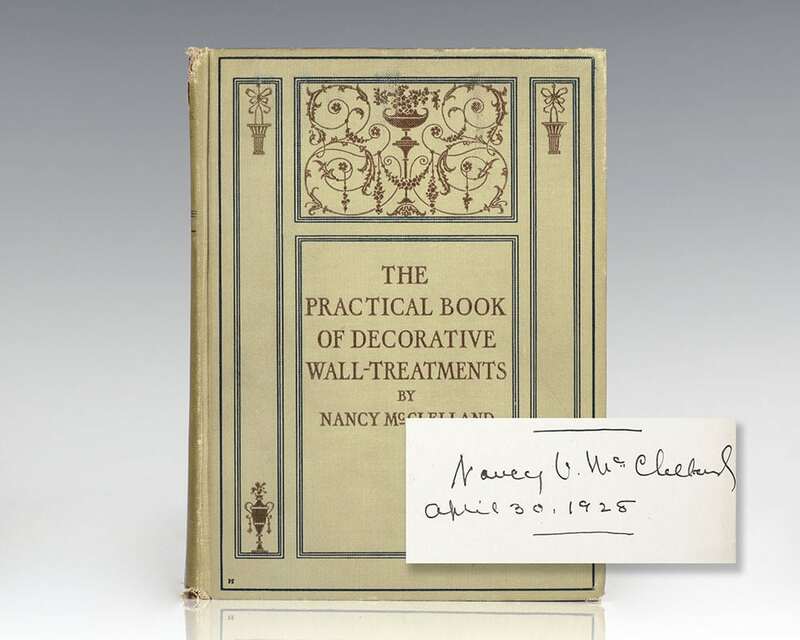 First edition of Nancy McClelland’s work on the history of wallpapers. Quarto, original cloth over illustrated boards, top edge gilt, frontispiece in color with tissue guard, 11 other plates in color and 245 in half-tone, title page vignette, chart of periods. Association copy, lengthily inscribed by the author on the front free endpaper in the year of publication, “To Miss Temple, the book you helped to make with warmest appreciation, Nancy V. McClelland. October first Nineteen hundred and twenty four.” The recipient, Grace Lincoln Temple assisted McClelland in compiling and researching the many wallpaper samples featured in the present volume. She is graciously thanked in the author’s acknowledgement. Introduction by Henri Clouzot. In very good condition. 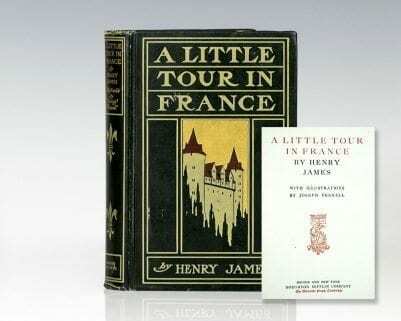 Rare and desirable with noted provenance.